Suzann Pettersen is a golfer on the LPGA Tour, a multi-major winner, known for her intensity and athleticism. She was the first golfer from Norway to win on the LPGA Tour. Suzann Pettersen grew up to be a fiery, intense competitor on the world stage – a golfer whose success, some thought, was held back a bit by just how self-critical she could be. She was known as one of the fittest, most athletic players in women’s golf. Before all that, Pettersen played her first golf tournament at the age of six. She played many sports growing up (and continued to as an adult), including – naturally, since she’s Norwegian – skiing. But golf quickly took precedence for her. 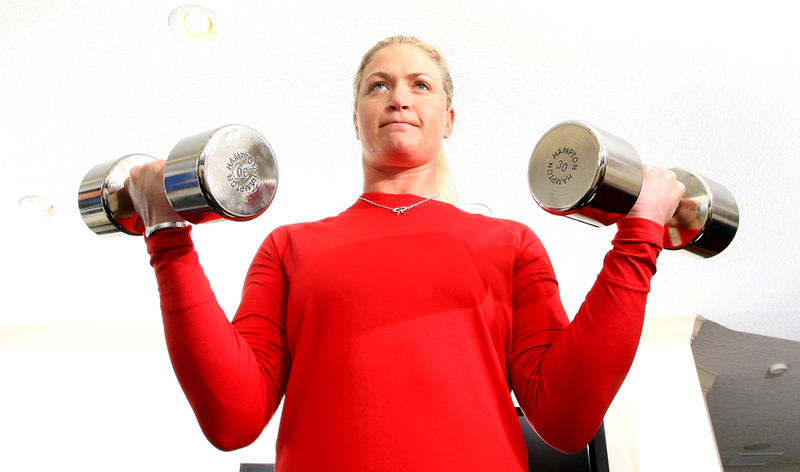 As an amateur, Pettersen won the British Girls Championship in 1999 and the 2000 World Amateur Championship, and won the Norwegian Amateur five consecutive years. She also represented Europe twice in the Junior Ryder Cup. Pettersen turned pro in 2000. In 2001, playing the Ladies European Tour, she earned her first victory at the French Open and was named the tour’s Rookie of the Year. Pettersen played the Solheim Cup for the first time in 2002, a tournament that would come to be a major focus of her career. At the end of the year, she made it through LPGA Q-School. An LPGA rookie in 2003, Pettersen’s best finish was a tie for third. But she went 4-1-0 at the 2003 Solheim Cup, helping Europe to the victory. She was in a dry spell in tournaments, however. After that 2001 win in France, Pettersen didn’t win again on either the LET or (where she mostly played) LPGA until 2007. The first few seasons of her LPGA career were interrupted by injuries, including elbow surgery and back problems. But 2007 was Pettersen’s breakout year. She claimed her first LPGA win at the Michelob Ultra Open, then won her first major at the LPGA Championship. She wound up with five LPGA wins that year, plus one on the LET, and finished second on the LPGA money list. There were many near misses in 2008-10 on the LPGA for Pettersen, including six seconds in 2010, but only one win. But she started winning more often in 2011, and posted multiple wins in 2011-13. From 2007 forward, Pettersen hasn’t finished lower than 9th on the LPGA money list, and hasn’t ended a season ranked lower than sixth in the world rankings. Also since 2007, Pettersen posted many top 10 finishes in majors, including multiple runners-up. Her second win at a major happened at the 2013 Evian Championship in that tournament’s first year with major status. In March 2013 Pettersen won the Mission Hills World Ladies Championship. In April, she won the LPGA Lotte Championship. In September, she won the Safeway Classic, then the Evian Championship. In October, she won her fourth event of the LPGA Tour season when she captured the Sunrise LPGA Taiwan Championship.